I learned a new word last week during a conversation about communication for sustainability. Tavaha. 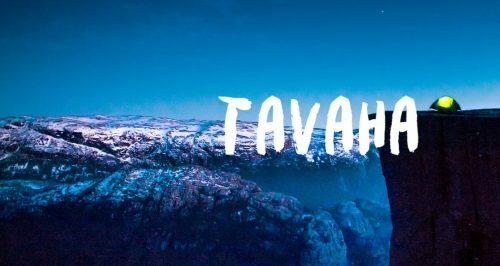 Tavaha is a Nordic expression for taking care of the oceans, or ‘ta vare på havet.’ It comes from an initiative called Nordic Ocean Watch, a collection of surfers and ocean lovers who recognize that oceans connect the world. Tavaha encompasses unity, understanding and solidarity across borders, generations and cultures. It is intended to be accompanied by a gesture (hand over heart) and an action (do something to take care of the oceans). This ‘Nordic aloha’ activates change. We need more words like this. Maybe we even need an entirely new language for transformation. This language would have to include action verbs that directly engage us with solutions to global problems. It would need adjectives that describe the emotions and relationships that can move us in the right direction. And of course it would needs some good pronouns that describes the unique connection between the individual and collective. As Daniel Siegel says, we need to promote a me+we or mwe. Plenty of new words have been introduced to capture the nature of the problem, including the Anthropocene, which recognizes humans as a major force on the planet. Yet much like sustainability, the Anthropocene risks becoming an alibi for business as usual, especially if the only transformations we can imagine are based on techno-managerial approaches. Glenn Albrecht writes that “Rather than rehabilitate these now well-abused concepts, I believe it is time to create some new ones; concepts that are urgently needed and very hard, if not impossible to corrupt.” In this spirit, he offers words such as the symbiocene (a new era “characterised by human intelligence that replicates the symbiotic and mutually reinforcing life-reproducing forms and processes found in living systems”), sumbiocracy (“rules determined by the type and totality of mutually beneficial or benign relationships in a given socio-biological system at all scales (mutualism).”) and symbiomimicry (connecting to life’s processes to nurture the life support system on which we all depend). “Transformation words” have deep roots in languages and cultures from around the world. Although these words reflect thoughts and ideas that have been around for a long time, it is time for them to be shared. Words like tavaha suggest that people need new ways of express their active and committed engagement with the future. Everyone can contribute to the new language of transformation by creating a word or concept that speaks to them. What would my word be? Hmmm. If I had to make up a new word right now, it would be wequalia. I would describe this as the subjective, conscious experience of being part of a larger whole. It combines we, as in all of us, with qualia, or individual instances of subjective, conscious experience. It has equal at its core, emphasizing the importance of relating to others as if they were you. How might this word be used? Swimming in the ocean gave her a sense of wequalia that enhanced her commitment to taking care of it. Tavaha. ⇐ What is your worldview?